A moist chocolate sponge for Tom who is now officially an adult. 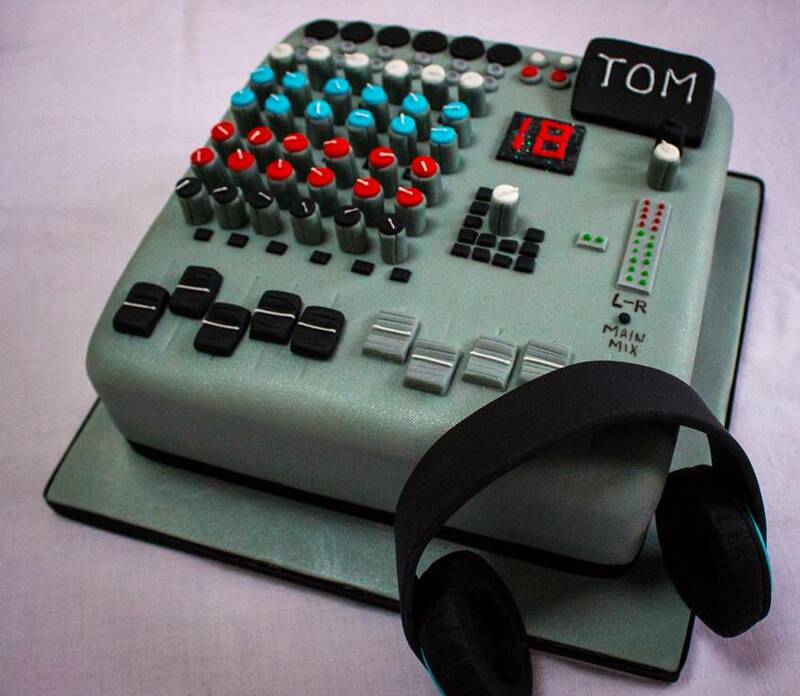 A mixing desk & headphones with more individual pieces of icing than should be possible to fit on one cake. Happy birthday Tom.